Stelvio climb Italy @ 12 Sept … Brett Tarlington (BiciSport Oakwood Lifestyle Advisers) with a hint of “I’ve just been mugged by a burly Italian monster called Stelvio” (… who then stole my bike ? … ) with a touch of more to come in the background. * RAW Track @ DGV @ 14 Sept - The final RAW for Winter 18 and David Browne (BiciSport Happy Wheels) took the Division 2 pointscore at RAW. The crowd roars ! ! ! ! 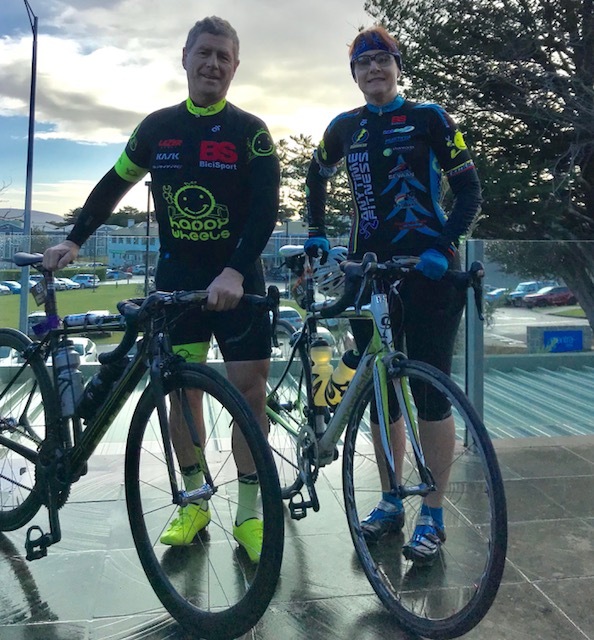 * Amy’s Grand Fondo @ 16 Sept - Peter & Melissa Budd started and Peter finished 21st for his 8th consecutive qualifying medal to the UCI World Masters Championships (to be held in Poland in 2019). Conditions at Amy’s was cold, wet & windy and there was even snow on the side of the road in parts. * Hunter Valley Masters @ 16 Sept - Ruth Strapp took the C grade win from 15 starters & earned a promotion to B grade. Rhett Hall was a peloton finish in A grade. * Happy Wheels is coordinating a BiciSport group ride at the upcoming Bowral Classic on Sunday 21 October at 6.15am. The road from Wisemans Ferry to St Albans is the best kept secret in cycling. Very little motor traffic and just out of St Albans is this delightful panorama (picture taken on 10 Sept). 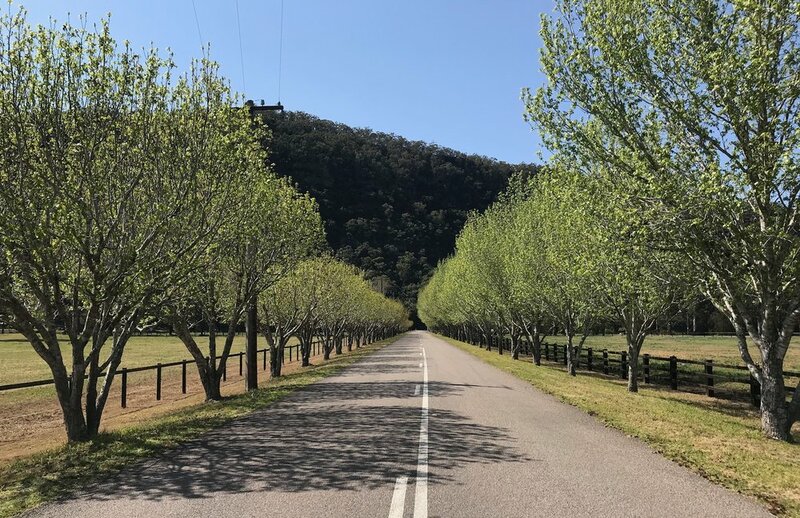 This road will feature in a new event on the NSW road racing calendar in mid May 2019 that includes the St Albans “Hell of the North” dirt section very much in the classic Paris Roubaix tradition. Planning for this new event is now well underway.